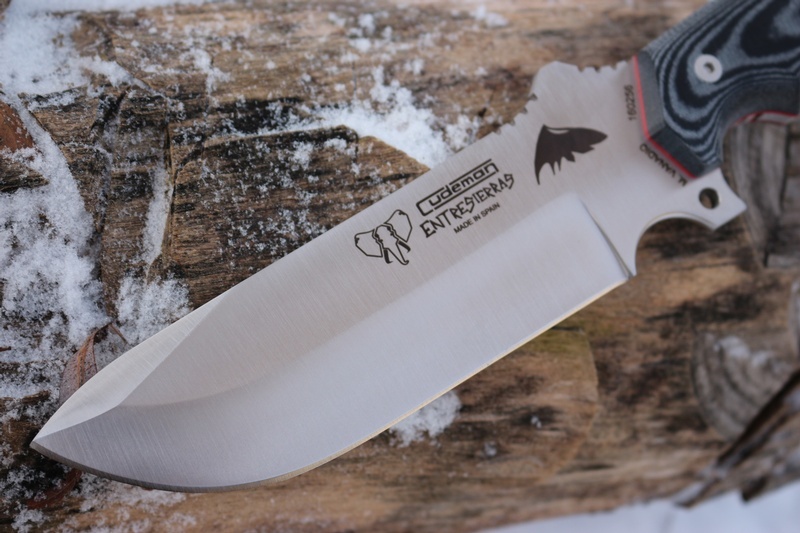 Finally arrived, the new Cudeman 155-MC, Cudemans top survival knife, and one thats had an enormous amount of positive attention from Europe. 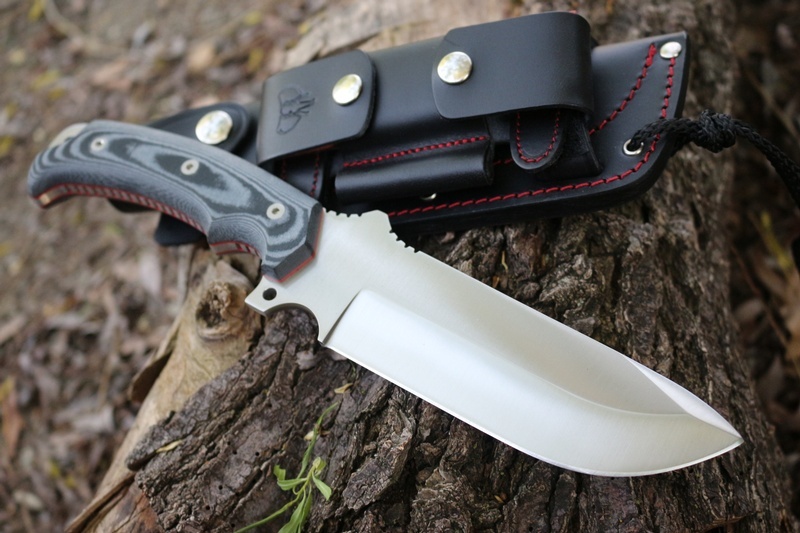 The knife is excellently balanced, has a great grip (micarta slabs that are removable, jimping on lower spine and sculptured profile) and is a beefy 5.33mm thick, full broad tang with extended tang and lanyard hole. 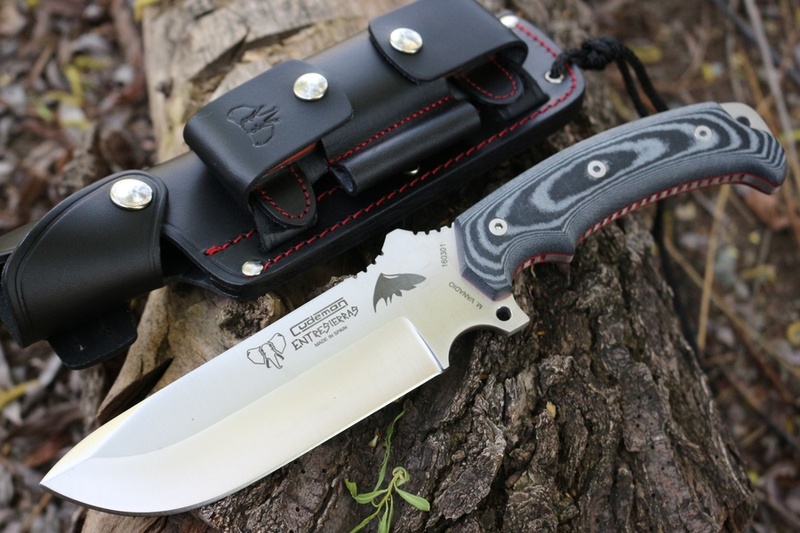 The knife still cuts excellently, due to its sabre ground Vanadium steel blade and gives the user lots of control with a deep finger choil and backward/forward top spine jimping. 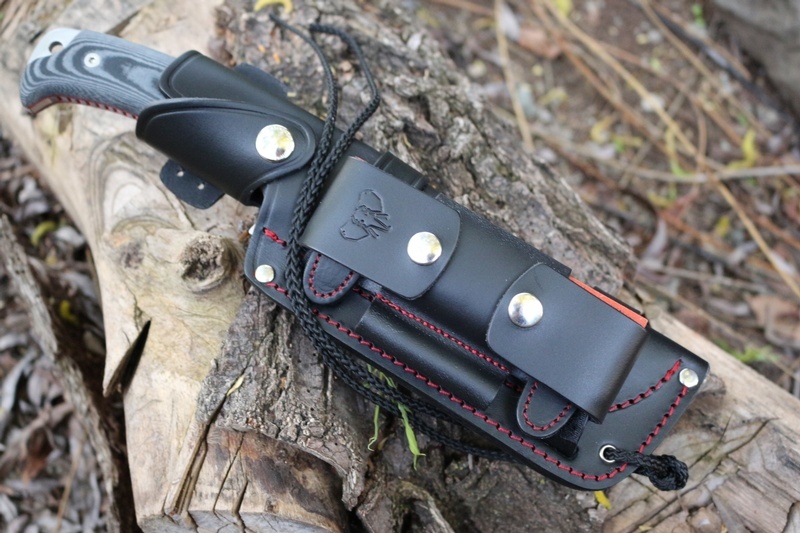 Excellent survival or Bushcraft knife, made in Spain. 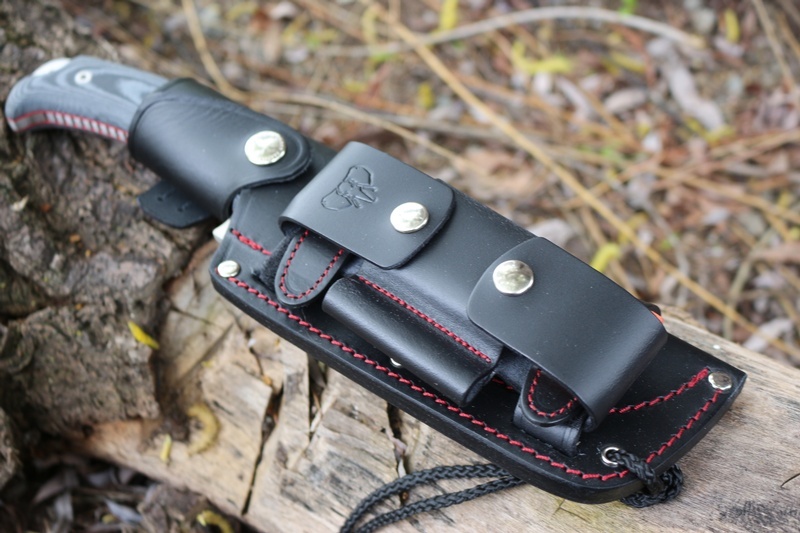 Comes with quality leather sheath (black leather) see pics for details. Purchase through PayPal by using the "Add To Cart" button above or use the form below to order the Cudeman 155 MC Survival Knife Kit . Feel free to contact us if you have any questions about the Cudeman 155 MC Survival Knife Kit .